Egypt’s Prosecutor-General has announced 16 people have been charged with killing and incitement of violence outside a Cairo football stadium where 19 people were killed in February. According to a statement, among those charged are individuals that were paid by the outlawed Muslim Brotherhood. Members of the Zamalek football fan group, Ultras White Knights, were also among those charged. Nineteen people had been killed in a stampede that followed clashes between football fans and security forces outside the Air Defence football stadium. The Ministry of Interior claimed large numbers of fans attempted to storm the stadium and had used violence on security forces and passing civilians. However, the Ultras White Knights claimed that police imitated firing tear gas towards the tightly packed fans, leading to the deaths. 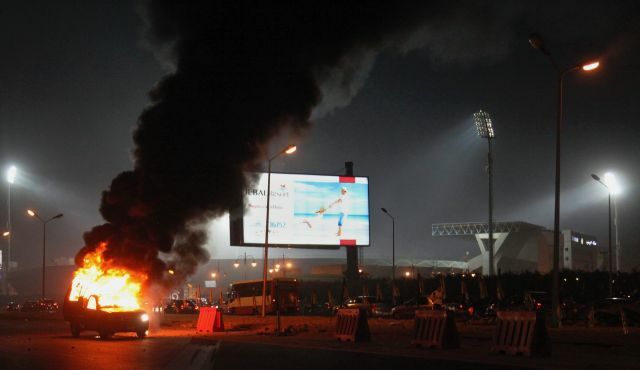 Egypt suspended all football games after the stadium violence. The suspension came a week after the Ministry had allowed football fans to attend Egyptian Premier League Games. The games were held in the absence of any fans since over 70 football fans were killed in the Port Said Stadium following a game in February 2012. Despite the violence, the football match between Zamalek and Enppi has continued after its commencement was delayed by an hour.